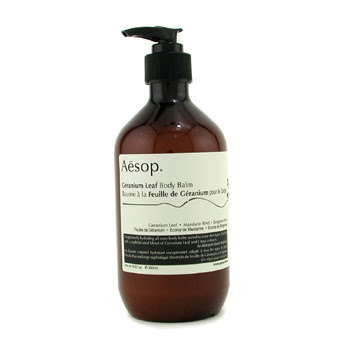 For an invigorating effect, Aesop has come up with Geranium Leaf Body Balm, a mixture of Geranium Leaf, Citrus Extracts, Carrot and Aloe Vera that promises to hydrate your skin and to shield it throughout all climates for a suppler and sleeker look. For best results you should apply it daily on wet skin after showering. Suitable for all skin types.